Luxury Oceanfront Home with Pool and Spectacular Views! 4 BR+ Den/3.5 BA + Honeymoon Suite w/ queen bed, bath, & kit. Sleeps up to 12. NOTE: Auto Pricing does not work. PLEASE inquire for correct details! Mahalo! 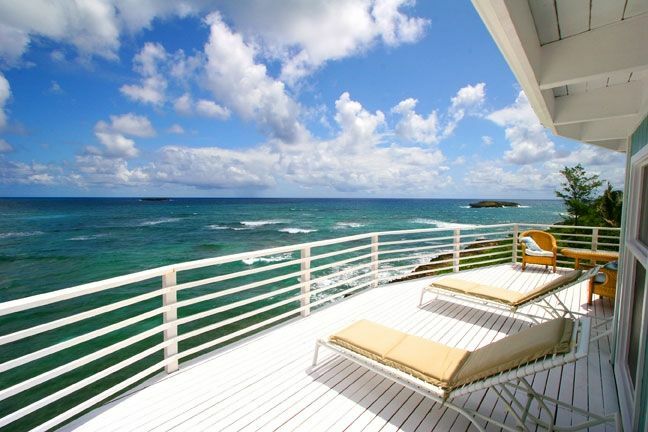 Welcome to this breath taking oceanfront home on Laie Point! Enjoy crashing waves just on the other side of the plunge pool. Watch wind surfers, whales, and manta rays from the gourmet kitchen. Floor to ceiling windows encompass the entire backside of the home allowing views of gorgeous sunrises over turquoise blue Laie Bay. The main part of this home features 3 full bedrooms with queen beds and private bathrooms. An additional daybed/trundle in the Master bedroom and daybed/trundle in the 'den' location allows 4 more beds. The ocean side, ground level Honeymoon Suite has a four poster queen bed, kitchenette, private bath and separate entrance and can be rented for an additional fee only to guests staying in the main house. Hawaii's Polynesian Cultural Center, Turtle Bay, Sunset Beach, Waimea Bay, Pipeline, and Haleiwa are just a few of the nearby attractions sure to offer something for everyone. Aloha! Come relax and enjoy Hawaii in our little corner of the island! Rick, Jenny, their 4 children, 2 daughters-in-law, son-in-law, dogs and cat live 'back east' in New Jersey and Virginia. Rick and Jenny took their grown children and their spouses on a vacation to Oahu spring of 2008 and ended up buying this house so we could share it with others and return often. We absolutely love Oahu. There is more to do on this island than all the other islands put together...something for everybody! Yellow Master Bedroom/Bath has large full bathroom w/ 2 sinks, tub, toilet and separate shower w/ oceanview. There is a half bathroom in house for easy poolside access. The house is approx. 60 feet from the water. Land line service with free calls throughout Hawaii AND the mainland! Double ovens, stove top, two sinks, Refridgerator, microwave, dishwasher, garbage disposal, breakfast nook overlooking the ocean. Total remodel of entire kitchen May 2016! TV in Living Room, Yellow Master Bedroom, Blue Master Bedroom and Suite. A plunge pool in the center exterior of the house! Very private! House has wheelchair accessibility from garage then down ramp into kitchen and main floor of house. Can wheel into bathroom and Ocean Blue Bedroom without obstacles though no shower roll-in ability. We welcome children and have DVDs, games, toys and books for them too. Everything was perfect, the house, the view, the pool and closeness to amenities. end of the street! Thank you so much for sharing your home and beautiful surroundings! We had 12 family members on this getaway, ranging in age from 5 months to 65 years old. It was a perfect house for us! Separate areas ensured us older folks were not woken by the babies at night. We would stay here again for sure! Aloha and thank you to this very Nice family! This group was easy to communicate with and respectful of our home! They left everything clean and well taken care of! So happy to rent to them and I surely would welcome them again in the future! The house was excellent for our trip to Oahu. There were 10 adults and a 4 month old. The kitchen was wonderful and expansive. The living room was large and comfortable for everyone. Beds were comfortable and there were plenty of room and bathroom. Goes were to die for. The only two things I will caution are that the pool is deceivingly photographed. It is tiny. If you plan on spending slot of time in the pool, you will likely be disappointed. If it had not been too cold to use the pool, we probably would have more to say about this. Secondly, the dining room table and chairs are very uncomfortable. The chairs seem as though they were improperly covered. We could hardly sit there long enough to play a game. Overall, it was fabulous. Beautiful views, great location on North Shore, clean and well equipped home. I had such a delightful experience with Jenny. She is so accommodating and always easy to get a hold of. The house is beautiful, super clean, and very well organized. The awesome kitchen was labeled and everything was SO easy to find. The beds and pillows were EXCEPTIONAL. It was the perfect place for old friends to reunite, spend time together, and unwind from the busyness of life. This place runs on "island time" for SURE. The house is near all the amazing surfing locations, and some great hikes, and still far enough away from the tourist vibe. I highly recommend this home. Thank you for your wonderful review! We love hearing how much you enjoyed your stay! It makes all the work so worth it! Thank you, B and please come back! Laie Point is located on the eastern end of the North Shore of Oahu, Hawaii. It is a quaint neighborhood on a point surrounded on three sides by ocean. The house overlooks Laie Bay and is 60' from the water's edge! You are right up to the crashing waves, their thunder and their beauty as you watch windsurfers, manta rays and sometimes whales from all the windows or four lanais! The neighborhood beach is a mere 5 minute walk taking you to a usually calm sandy beach well suited for children. Hukilau Beach, in the 'backyard', is the next closest beach and better for boogie boarding and a bit more action. Hukilau Beach and Laie Bay can be seen from the whole backside of the house! Sunning on the lanais, swimming in the pool, walking along the beach, relaxing in total privacy and enjoying this beautiful Hawaiian home is certainly a beautiful part of the Hawaiian experience! Aloha and Welcome! Golf: There are too many golf courses on the island to name but the closest ones are in Kahuku, north 3 miles and Turtle Bay Resort about 5 miles north.